Value for money with D2 for sure! Cheap price, great adjustability and comfort is basic thing for any D2 products. 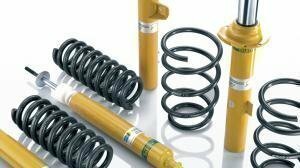 There is suitable suspension kit for any use, whether you drive in streets or race conditions. 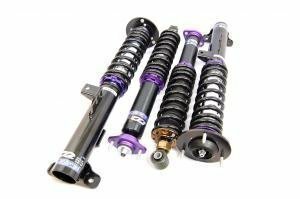 D2 adjustable coilover kit is an excellent choice for our changing weather conditions, height adjustment is handy especially when looking for winter / summer height - for winter the suspension can be slightly lifted up and in the spring to adjust back. 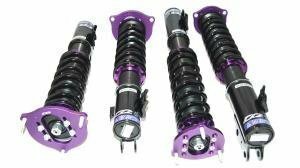 If you are looking a suspension kit with extremely comfort, D2 air suspension kit is the right choice. There is four different sets available, Basic, Deluxe, Super Professional & Gold, so there is correct kit available for any use. We order sets regularly several times a week and this has made delivery times better for all D2 products. 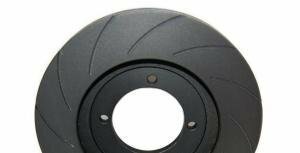 Product images have been in D2 before, but the model specific images in all D2 images has grown briskly and often the image of the product tells much more than a long piece of text in the product description - it can be compared to OE lower mount or a OE shock absorber. 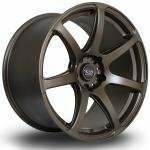 Model specific images are important to us and therefore we are looking/taking for more pictures and add them in all products in our webshop, regardless of the brand.